Fase is a film based on the first work made by De Keersmaeker in 1982: Fase, Four movements to the music of Steve Reich, the performance that launched Rosas on the international dance scene. 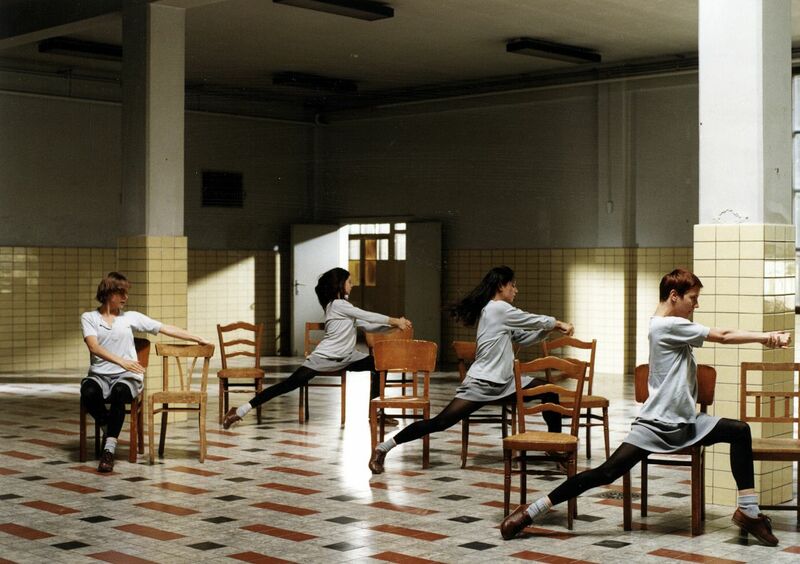 The film, like the choreography, is in four parts, each shot in different locations. Nearly twenty years on from the date of the original stage creation, film director Thierry De Mey succeeds in reiterating its powerful essence in a film whose distinctive aesthetic identity remains independent and unique unto itself. Since its creation in 1983, Rosas danst Rosas has remained a benchmark piece in the Rosas repertoire. 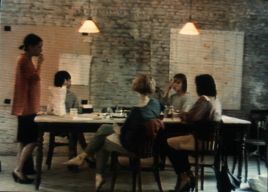 In his film of 2002, shot in Leuven in the former technical school of architect Henry Van de Velde, Thierry De Mey has created a compelling cinematographic interpretation of this seminal performance. The sharp rhythmical editing creates a startling visual dynamic that interplays with that of the choreography. The different casts of dancers span several generations, which accentuates the notion of progression and timelessness within the work. 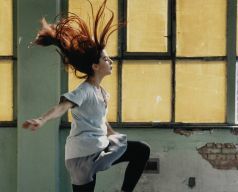 The film captures the underlying energy and feminist inference of the dance, whilst its aesthetic beauty enhances its appeal to a wide audience. 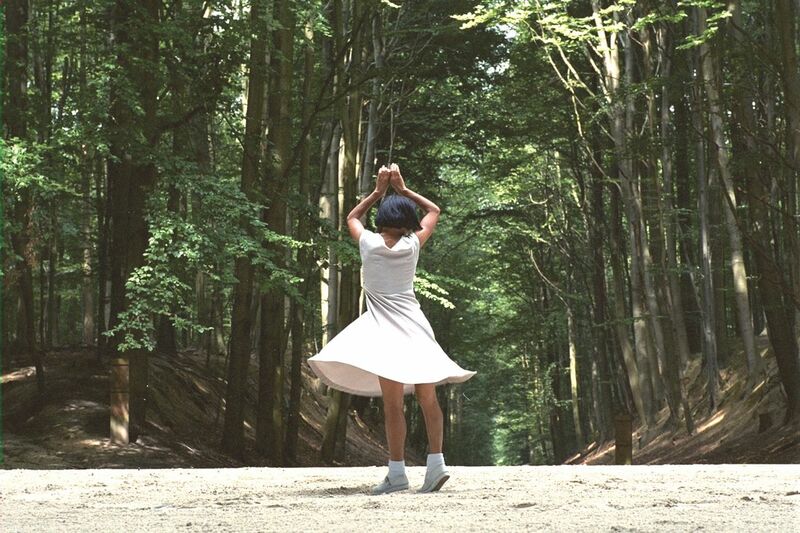 Marie André's fascination with the eloquence of everyday gestures finds perfect correlation with De Keersmaeker’s choreography. Over a six-month period, she recorded De Keersmaeker rehearsing and developing Elena's Aria. In Répétitions, Marie André observes the intensity and concentration of the female dancers as they repeat a series of precise, gestural movements taken from everyday life: pulling their hair back; crossing their legs; sitting down. She documents the progression of the making of the work and celebrates the process, rather than the final production. and Jean-Luc Ducourt. In close concord with the live piano music, the couple’s dance reveals the complexities and contradiction within their relationship. The austere architecture contrasts with the choreography’s fluctuation between abstraction and playful theatricality. The second piece: Quatuor No. 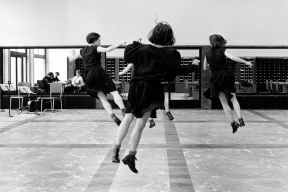 4, danced by De Keersmaeker and three other original members of Rosas, is accompanied by a live string quartet. Wolfgang Kolb’s camera captures the exhilaration of the unisons, the rhythmical phrasing and the impudent complicity between the dancers. Films and documentaries: Fase / Rosas danst Rosas / Répétitions / Hoppla!